Tomorrow's News Today - Atlanta: Holler & Dash Heading to New Markets, Could Metro Atlanta Be Next? Holler & Dash Heading to New Markets, Could Metro Atlanta Be Next? Earlier this spring, I traveled to Birmingham to check out a couple new concepts. Among the places I visited was Holler & Dash Biscuit House, a new upscale breakfast and lunch eatery which opened in the Birmingham suburb of Homewood in March. They may not mention it...you may not know it...but Holler & Dash is owned by Lebanon, Tennessee-based Cracker Barrel. Whereas eight bucks buys you an entire meal at Cracker Barrel, you'll need about nine bucks for most biscuits at Holler & Dash! 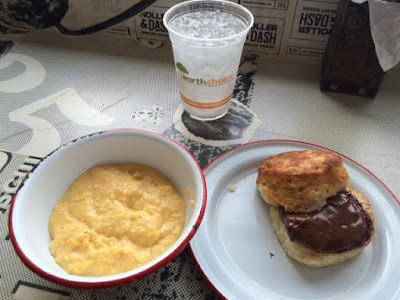 Anson Mills Grits with "The Jam"
Eater.com called Holler & Dash "Cracker Barrel for Millennials," and they're not far off. The place is definitely not geared towards value oriented families or destined for rural locations. 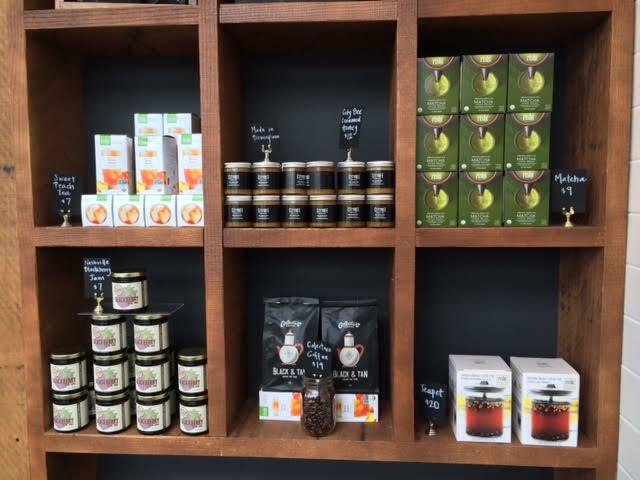 Holler & Dash features premium ingredients, organic offerings and locally sourced products. Among the offerings I took note of were Fairlife milk products. 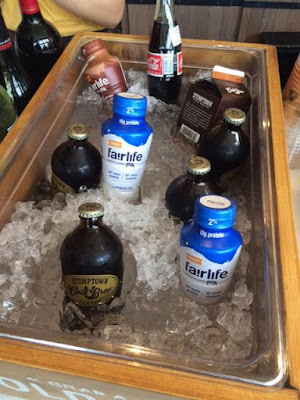 Fairlife, distributed by The Coca-Cola Company, produces cold-filtered, lactose free whole, reduced fat, chocolate and fat-free milk varieties. Holler & Dash also features Stumptown Cold and Nitro Brew Coffees. Portland, Oregon-based Stumptown is one of many previously independent coffee brewers purchased in recent years by Luxembourg-based private equity firm JAB Holding Company. Additionally, the restaurant features Milwaukee-based Collectivo as their hot coffee. Doux South, the Atlanta-based pickled product purveyor created by chef Nick Melvin is also a "partner" [vendor] at Holler & Dash. Following stints at The Farmhouse at Serenbe, Parish and Empire State South, Melvin created the pickle, mustard and relish business. When I visited earlier in the year, the restaurant featured Anson Mills grits, a purveyor from Columbia, South Carolina. According to the restaurant's website, they have since changed to McEwen & Sons grits, a company based in Wilsonville, Alabama, which is southeast of Birmingham. Holler & Dash also features the popular Springer Mountain Farms hormone free chicken as well as cage free eggs from a separate provider. Similar to the retailer offerings of Cracker Barrel, Holler & Dash also has a small "shop" where it sells local / regional items like Nashville Jams, local honey, Rishi teas and other items. One thing I noted, as did others in their Yelp.com reviews, was that the Homewood eatery features the new Dyson Airblade Tap. 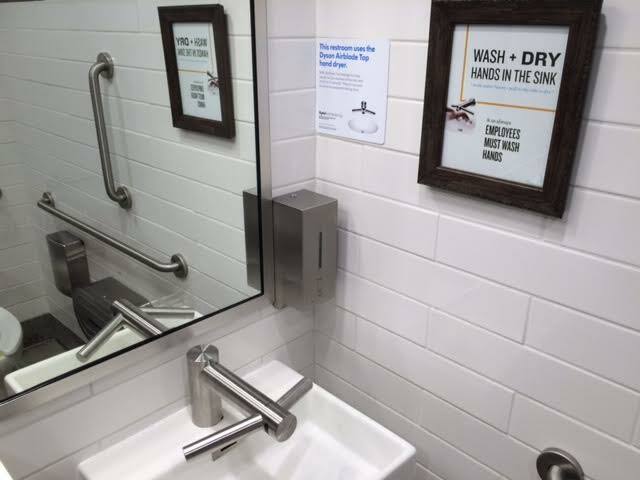 The new device, (MSRP roughly $2000) which I have yet to see elsewhere, combines a faucet and hand-dryer into a single unit and promises a 14 second dry time. Brandon Frohne, the restaurant's "Director of Culinary Development," has twice cooked at New York's famed James Beard House and was also previously involved with Chateau Elan north of Atlanta. I'd say one could compare Holler & Dash to other breakfast joints like First Watch, Egg Harbor Cafe and Atlanta's Flying Biscuit Cafe, but in actuality, the concept is quite different. Whereas the aforementioned concepts all offer table service, Holler & Dash is a counter service operation. Holler & Dash does share some similarities with Biscuit Love Brunch, a Nashville-based food truck turned restaurant. Biscuit Love, although not a chain (one location open and one more on the way), does have the backing of Fresh Hospitality. 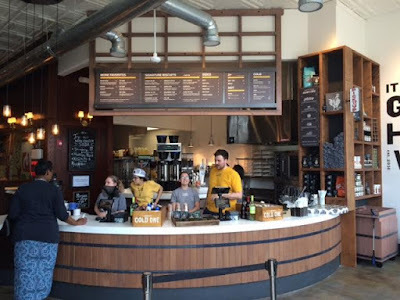 Nashville-based Fresh Hospitality partners with growing concepts like Atlanta's Octane Coffee and Birmingham's Taziki's Mediterranean Cafe to assist in growth. 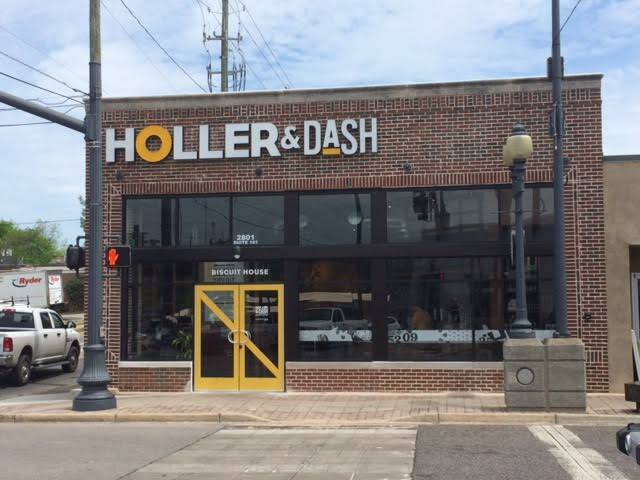 Holler & Dash opened a new restaurant in Tuscaloosa, AL on July 12th. 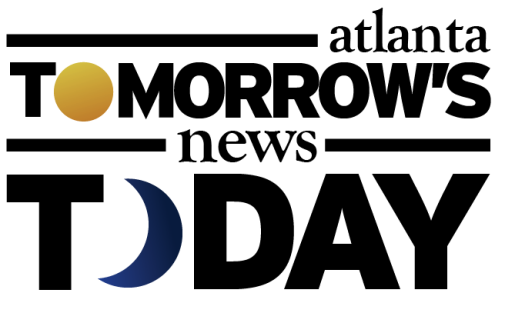 Last week Holler & Dash announced they would be opening new locations in both Celebration, FL (near Orlando) and Brentwood, TN (near Nashville). The next locations will be larger than the existing units. The Tuscaloosa restaurant is just under 2,000 square feet, whereas the Celebration unit will be about 2,800 square feet, and Brentwood will be about 3,800 square feet. Given the recent openings and new store announcements, I think it is reasonable to suspect the chain has its eyes on metro Atlanta as it continues to expand. Cities such as Duluth, Roswell, Decatur, Brookhaven and Sandy Springs will likely be targeted by the restaurant. Overall, Cracker Barrel Old Country Store owns and operates 636 locations in 42 states, including over two dozen in Georgia. There is at least one new Cracker Barrel planned for metro Atlanta in Snellville at the new Park Place development on Scenic Highway. 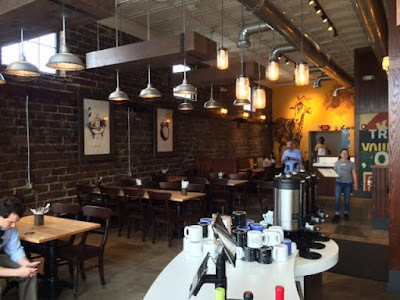 Have you been to Holler & Dash? If so, what were your thoughts? Pros? Cons?  Where would you like to see Holler & Dash open in metro Atlanta? What is your favorite place for breakfast in metro Atlanta? Do they have the triangle wooden golf tee game? I'm partial to Callie's for my biscuit needs. I admit the place sounds intriguing, but not sure I would eat there that often. As with all things location will be very important if they decide to open in the metro area – Brookhaven maybe / Duluth maybe not. Those prices are insane. A "signature" biscuit, a side, and a drink is a +/- $20 ticket. And I just don't see were the costs might be to justify those price points. A glorious biscuit and A SIDE is $5 at Biscuithead in Asheville, and that includes their sublime jelly/jam bar. Add egg and cheddar cheese to your biscuit plus a side, a whopping $6. Nope. This is a misfire. I'd be a lot happier if we got a Biscuitville. yeah, but did you factor in gas cost to commute to Asheville every morning for breakfast? I've yet to find a better biscuit place than Biscuithead in Asheville, tough comparison. An Asheville biscuit joint seems a very fair comp as all the tourist traffic implies some price premium. But I guess we should expect $9 biscuits in ATL when meh $10 burgers are routine.